CMM Inspection Services include Dimensional Reports for First Articles & PPAP. 5-Axis, CMM (coordinate measuring machine) is designed for high tolerance inspection work. With work envelope of 40 x 25 inches, we can inspect multiple parts at same time. CMM contract services from CIMtech Mfg, can cover your first article & PPAP reporting including reverse engineering services. With Probing systems from Renishaw. We can inspect parts with high accuracy & low force contact. By utilizing your engineering drawings models, we can measure complex parts using GD&T or standard dimensioning formats. We provide a comprehensive inspection report. Dimensional Inspection Services can be utilized over a variety of industries like Aerospace, Defence, Energy, Automotive and Hi-Tech electronics. We can provide reverse engineering services by scanning your existing parts. 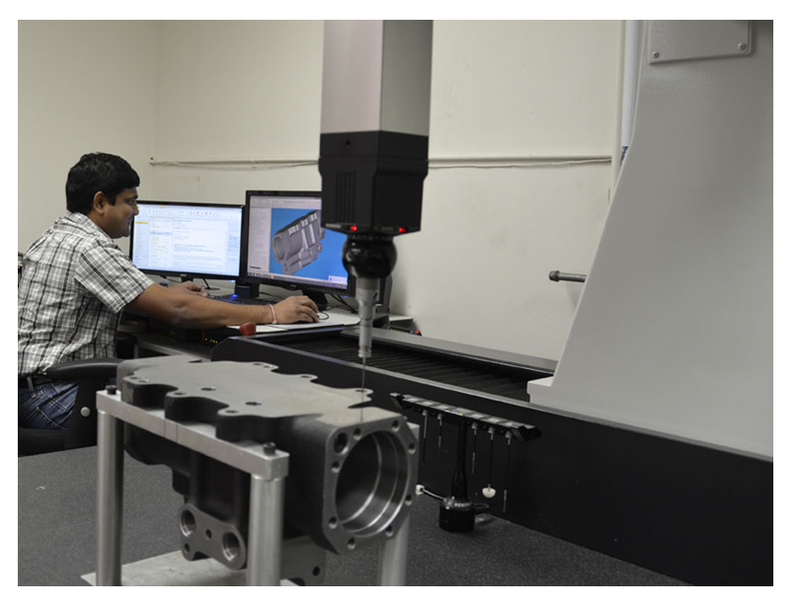 We look forward to continue working with the CIMtech CNC Machine Shop team for their quality work on CNC machined parts, CMM inspection reporting, manufacturing assemblies & Machine Shop work.